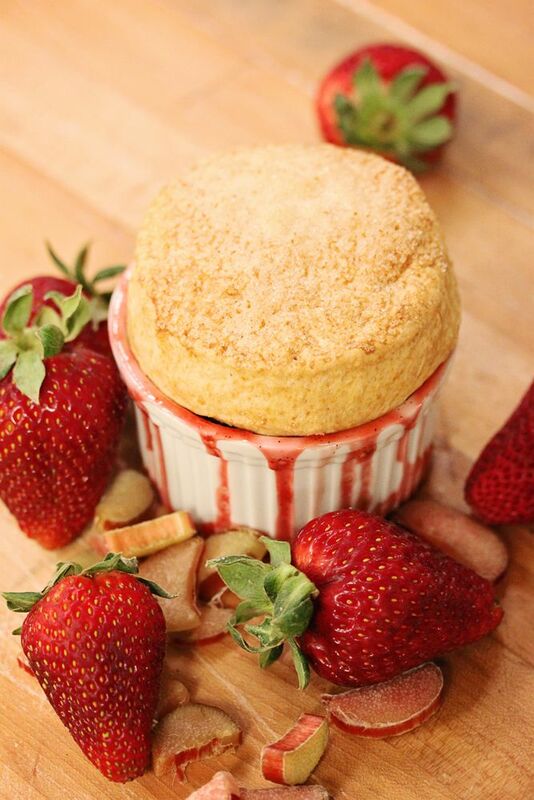 With strawberry season drawing towards an end, this recipe is the perfect way to use up any late-season strawberries that you have. To prepare rhubarb, first wash thoroughly. Remove the hard ends (at the bottom) and all of the leaves (at the top). Chop the long stalks into ½-inch pieces. Quarter strawberries. In the bowl of a mixer fitted with the paddle attachment combine flour, salt, baking powder and baking soda. Add the butter. Mix until the butter is well cut in, mixture will be crumbly and loose with pea-sized chunks of butter throughout. Add the buttermilk and mix on low speed until the dough pulls together. Remove from the mixer and gently knead to finish making a cohesive dough. Roll out and cut using a biscuit cutter or simply cut the dough into large squares. Place your fruit into a shallow oven-proof dish. A 9X13 pan will work perfectly. Make sure that you get all the sugar and juice at the bottom of the bowl! Gently place your biscuits on top of the fruit, distributing them evenly so they cover most of the surface. Bake at 350°F for 25-35 minutes. The biscuits will be puffy and evenly golden brown across the top when they’re finished and the fruit will be bubbling nicely up between them. Let cool for about 15 minutes (if you can wait!). Serve with whipped cream or a scoop of vanilla ice cream. And tell your mom you love her! !